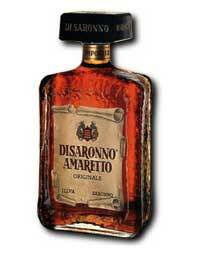 Amaretto is an Italian liqueur that is available for purchase at Duty Free Depot. When you order this liqueur from Duty Free Depot, you will enjoy free USA and worldwide shipping as well as low Amaretto prices. This online shop has top quality but cheap Amaretto for customers all over the world. When you buy Amaretto at Duty Free Depot, you will get an excellent price. The Amaretto cost will vary depending on the amount that you are buying. For a lower price, you may choose to get the miniature Di Saronno Amaretto bottles. For a larger amount of Amaretto, you can purchase the 1 liter Di Saronno Amaretto which includes a gift box. Amaretto is made from almond pits and apricots which offers a smooth and sweet taste. This liqueur is a component of many types of drinks but it can also be enjoyed on its own over ice. The authenticity of Duty Free Depot products is guaranteed and their quality is assured. Customers at this online shop will also enjoy 24/7 customer service and a 100% secure payment processing platform. 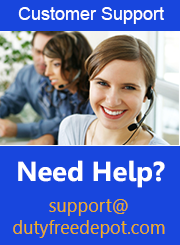 Customer service representatives can answer a variety of questions regarding orders and other relevant inquiries. Representatives can be contacted via telephone, email, online form and live chat. Payments can be made using a number of major credit cards such as American Express, Diners, Visa and JCB. Alternatively, customers can use an e-check to pay for their purchase as well.